I feel like discussing something intellectual today (not that makeup doesn't use brains). I don't usually watch the news but I hear about it from my friends and parents or chance across it on the internet, but I realized a long time ago that people only like to hear bad news, because the good news is boring. On the local news last night, there was a shining light in all the bleak school stabbings (apparently over a pair of pants), cold-blooded murders, and war business. A young man saved his elderly woman neighbor from a house fire that burned down her entire home. That made me feel proud of our generation, proud of people who still respect the old, little heroes. On the other hand, something that bothered me on CNN this morning is the Gulf Oil Spill. It still hasn't been contained and I see the difficulties of doing so, but why haven't they even really tried? BP claims they've been doing everything they can, but seriously such a rich multi-billion dollar industry can't pay someone to contain this? They've come up with a disperser chemical to try to break up the oil and methane mixture into smaller chunks but that will only spread, according to the ecologist they had on CNN this morning. She tried to explain that the disperser would only increase the surface area of the spill and all of that gunk would migrate down the gulf stream and contaminate more beaches, kill more animals, put more fishermen out of work. When the reporter asked why this hasn't been fixed, she said that these oil companies only care about profit and don't want to invest the money into fixing it. And what did the reporters say in response? THEY CUT HER OFF. They cut off her call and sarcastically thanked her for her information. This makes me furious. For one, the oil leak is very difficult to contain, but every single minute that crevasse is open, more of that blackish brown oil and gas is going to flow into the ocean. For all the people who scream for "Going Green" and supporting eco-friendly campaigns, this says a lot about how much no one gives a damn. If the ecologist has something to say, even if it's politically against your news station or against BP and you're afraid of a lawsuit, don't tape her mouth. That was unbelievable. It feels like the Church shutting up Socrates again. I realize that the ecologist could easily be wrong in her rash statements, but don't ignore her scientific advice just because you don't like her political stance. Take good care of the world. It's the only one you've got. It is extremely sad. I've lived on the Gulf Coast since birth, so seeing something so devastating happening to these poor animals and people, is heartbreaking. My parents used to be fishermen and I know firsthand how much something like this can affect their main income. It's sad to see so many people out of work, especially when waters/business hasn't been good before the incident either. It only makes things more difficult for those trying to make a living. You should Youtube "BP oil spill solution." These guys have a really good solution to the problem, but for some reason, BP isn't using it. it shows reporters dont necessary reveal everything. what happened to free speech? All news stations have agendas. Just like how oil companies care about profit only, news stations care about ratings only. Shows where everyone's priorities are. 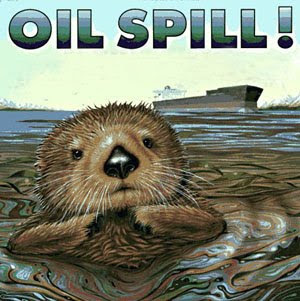 I did a research on oil spills and I agree, I dont know why they can't put out money to fix it when there are so many ways to clean it up and so many research has done on it and its not expensive. Dear, don't watch CNN or FOX or any of those popular news channel. They only show you what they want you to see. Try BBC or aljezeera. They expose to you more of the truth!!! 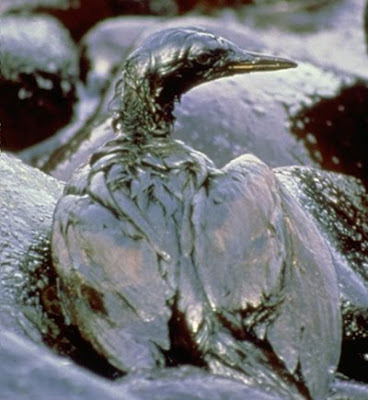 The oil spill breaks my heart. So much. I agree with the comment above me, BBC is amazing. But, there is still SO much more that can be done and SHOULD be done. I love this post- it's so honest.